While I expected the Dow Jones to be the breakout flyer, instead it was the S&P which led the charge on higher volume accumulation. 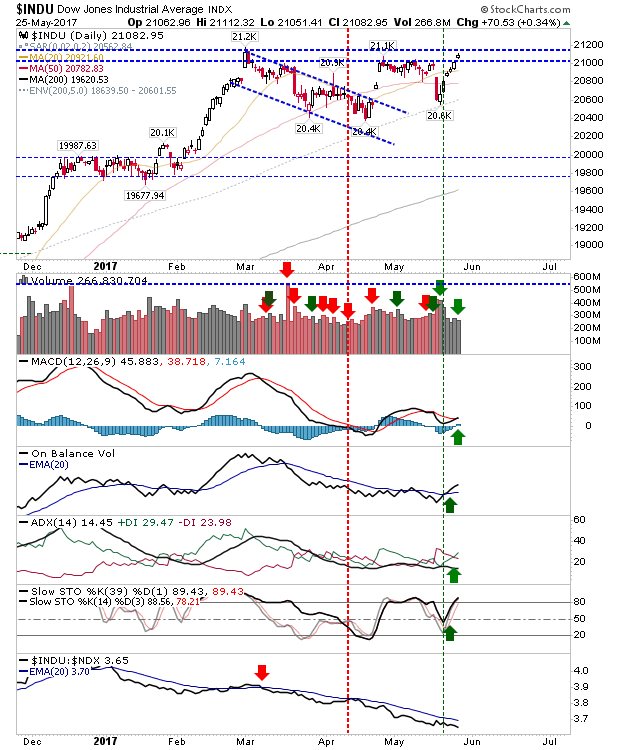 Technicals are all in the green with a return of the MACD trigger 'buy'. The Dow did manage to break past 21,000 with a MACD trigger 'buy' but it's still contained by all-time high resistance at 21,200. 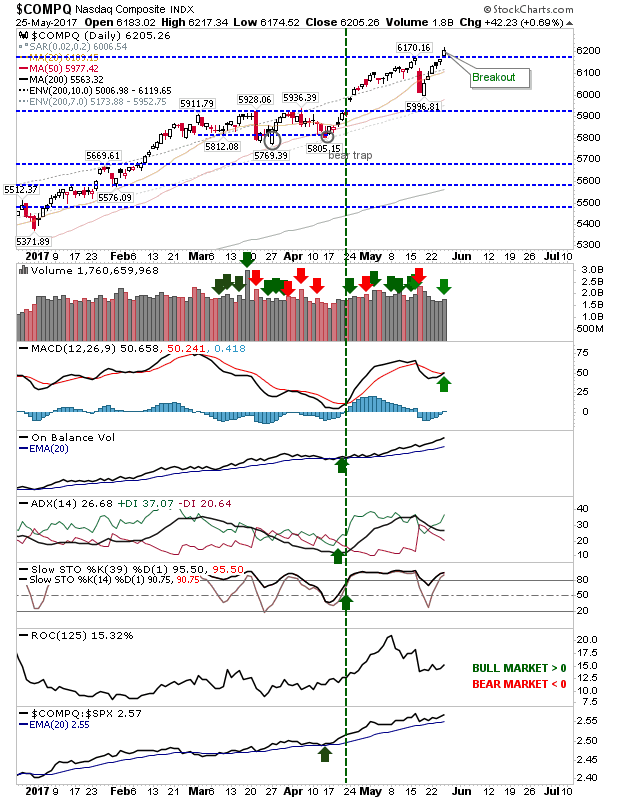 The index is still well positioned for a larger breakout, but this is the sixth day of consecutive gains for the index so some pullback can be expected. 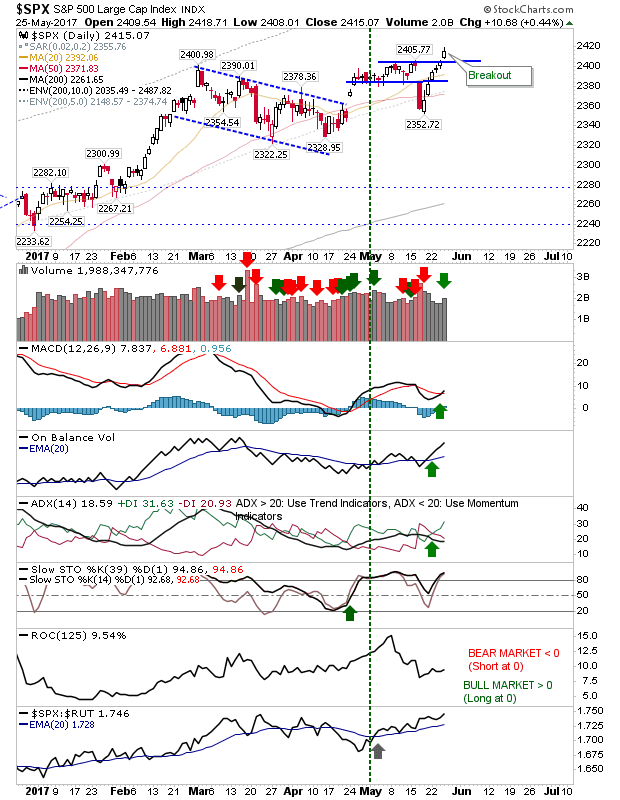 The Nasdaq posted the best gain of the day with a supporting MACD trigger 'buy' above the bullish zero line. 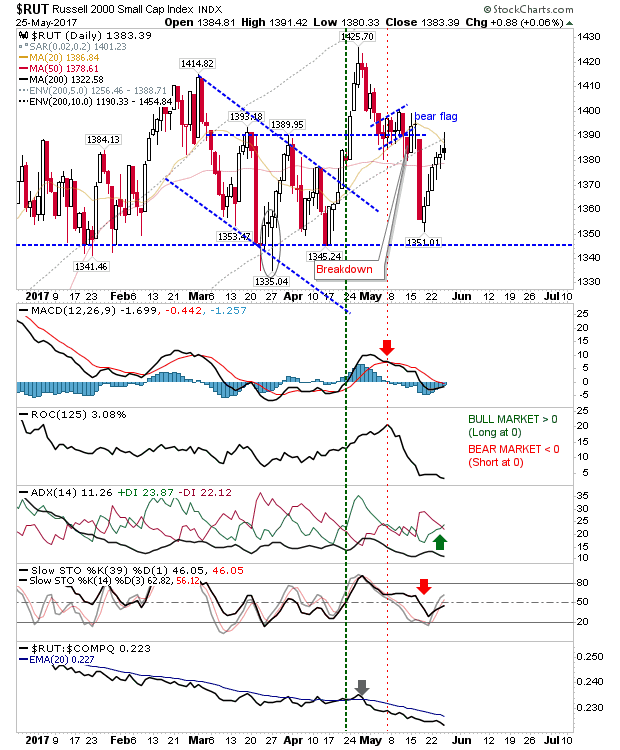 Remaining technicals are firmly bullish. Momentum players have most to gain here with shorts out on a limb (at best). The Russell 2000 started to struggle today. While other indices enjoyed classic gains, the Russell 2000 experienced an indecisive 'spinning' top. Resistance remains in play and this could still be a factor tomorrow. For tomorrow, bulls should be looking for pullback opportunities in the Nasdaq and S&P, or a push to new highs in the Dow Jones Index. Shorts may find some joy in the Russell 2000 as the relief rally begins to struggle.